Food and Drinks – Love is in the air so crack open a bottle of your favorite beverage to kick off the night. Drinks are great but they’re even better when accompanied by some light refreshments. No need to overthink it – you can pick up something ready-made from the grocery store deli like a meats and cheeses platter, or you can go straight for the sweet stuff, like mini cheesecakes or brownies. But if you’re really feeling ambitious, you can prepare something that both of you love! Music – Nothing sets the mood like a great soundtrack to your evening so be sure to get the tunes going. Pick out a curated playlist from one of the many stations on Amazon Music and Pandora or create your own custom playlist on Spotify. Use this opportunity to create the ultimate Romance playlist to let your partner know how you really feel. Whether you prefer Barry White, Jimmy Buffet, or Journey, make sure to set the right tone of the night with some serious love ballads. Click here for romantic love song ideas. Now that you’ve got everything set up, it’s time to reconnect with that special person. Talk about the week, the moon, the future – the sky’s the limit and there are no distractions tonight. 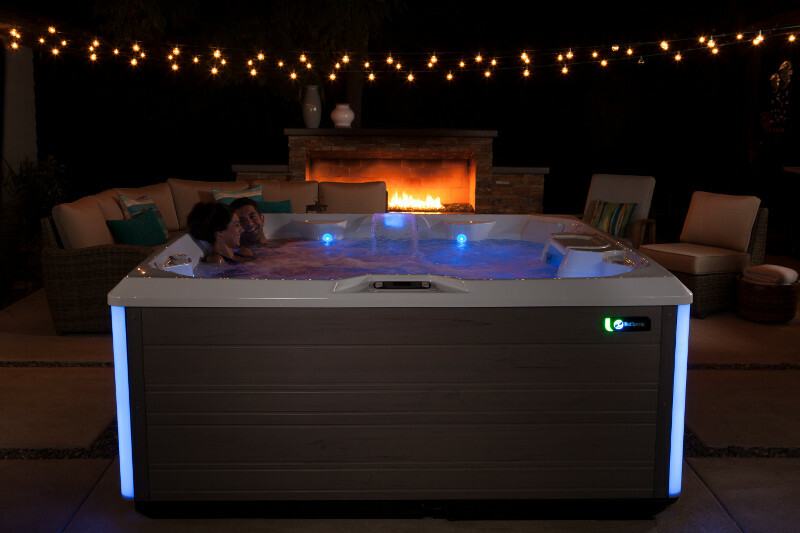 It’s just you, your loved one, and your Hot Spring hot tub. Enjoy the moment!